The travel agent is the latest U.S.-listed Chinese group to get a buyout proposal from back home. A 15 pct premium to a depressed stock price is hardly generous. But if major shareholder Ctrip can be persuaded to hop aboard, this deal could work. 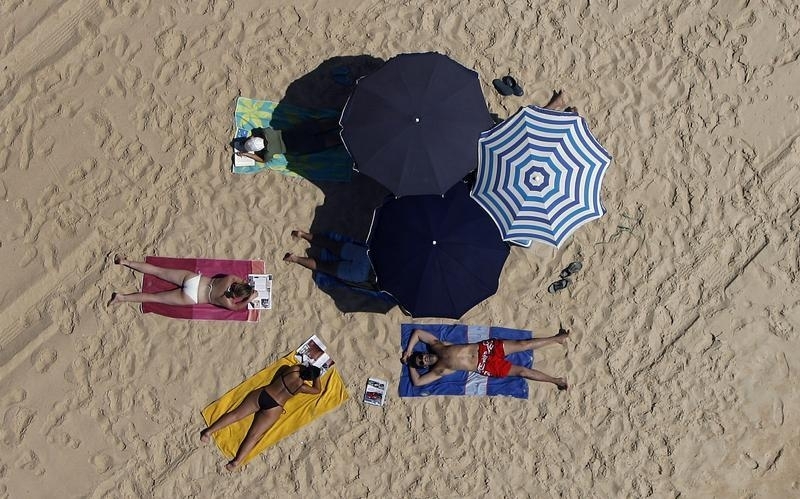 People sunbathe on a beach of Pinheiro da Cruz August 8, 2009. Chinese online travel company Qunar Cayman Islands said on June 23 that a unit of private-equity fund Ocean Imagination proposed to acquire the company. The proposal, at $30.39 per American Depositary Share, represents a premium of 15 percent to the stock’s close on June 22. Qunar shares closed up 10.9 percent at $29.29, giving it a market value of about $4.2 billion. The preliminary, non-binding offer is for Qunar shares not owned by the company’s majority shareholders, Qunar said. The buyer intends to seek the support of these “significant shareholders”. Ctrip, China’s top travel company, agreed to acquire a roughly 45 percent stake in Qunar through a share swap with its backer Baidu last year.